I have decided to pick up another book by Mario Vargas Llosa. This is my fourth novel from him; I started reading him when I picked up Death in the Andes in the summer of 2010, followed by Who Killed Palomino Molero? during the same year. Finally, last year I read The War of the End of the World. I have to say that The Green House is perhaps the most complicated of Vargas Llosa's books I have read, and maybe for that reason, people consider it as one of the three great books of the novelist, the others being The Time of the Hero and Conversation in the Cathedral. That being said, while reading, I found myself very much lost and my brain struggled to construct a coherent mental picture of the events that were being narrated. See, after reading the book, I went ahead and checked out Wikipedia's entry for the novel. It is a very complex novel, with a heavy and complicated structure. There are four sections, and each section begins with a narrative that reminds me of the way Jose Saramago writes (that being said, this book predates the bulk of Saramago's work): no punctuation, no paragraph break, just free-flowing text, including the dialog. The narrative is also non-chronological, and the characters are referred to in plenty of different ways, not always by name. The net effect of this is thus a narrative painting of past and present melting with each other, creating a timeless standstill in rural Peru. Perhaps one of the most striking themes this book presents to me at least is the corruption and brutality of pretty much every character in the book. The soldiers are corrupt, even the religious friar is unreasonable. 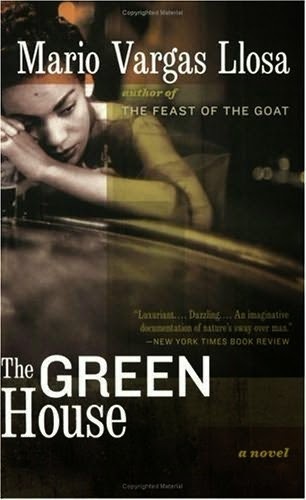 I find that it is such a contrast to have a rural setting, typically dead when it comes to social interaction, yet the friction between its inhabitants in this book is so raw and ravaging. This book is definitely one of those books where I probably would want to read again, just because the first reading makes me lost within its pages. I had a hard time reconstructing what the narrative actually was, and now that I have an idea what the story is, it would be nice if I can read it again to fully appreciate the novel. But unfortunately I don't read books twice, if I can avoid it. Hence, overall, I find this book to be not so accessible. I would only recommend this to people who have the dedication and passion to read this opus.